Remember September is so much more than just an ordinary rock band because of their diverse style.”(Skope Magazine, 2010). 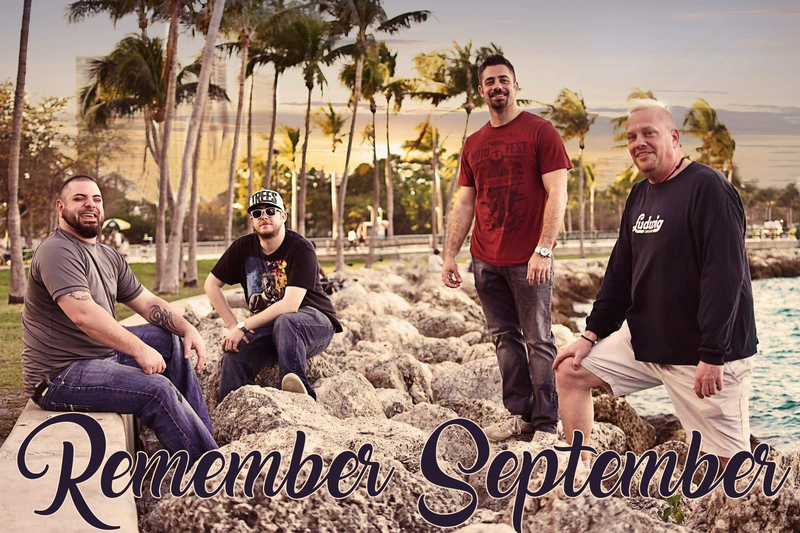 Remember September has been honored to perform at major events and casino shows alongside several legendary bands and in front of thousands of fans, who have shown a warm appreciation for our music. These acts include: Train, Chicago, .38 Special, Average White Band, Robert Randolph and the Family Band, Johnny Winter, Randy Travis, John Cafferty and the Beaver Brown Band, The Guess Who, Steve Vai, The Spin Doctors and several others. They have developed an extensive repertoire of classic to contemporary rock songs and originals, and pride themselves on their detailed musicianship.